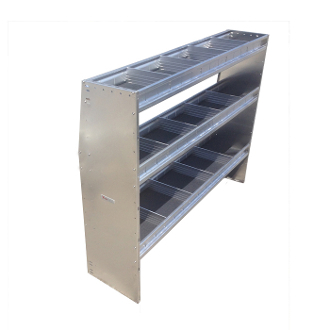 48” tall 42” wide 13” Deep shelving unit with 3 levels and 16 dividers. 2 lower shelves are 13" deep and 1 upper shelf is 11" deep. Includes 4, 13" dividers and 2, 11" dividers.